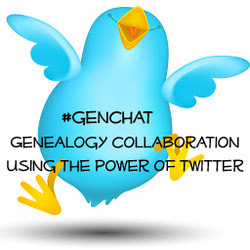 The Pendleton Genealogy Post: 52 Weeks of Sharing Our Memories - Let's Visit Grandma! 52 Weeks of Sharing Our Memories - Let's Visit Grandma! 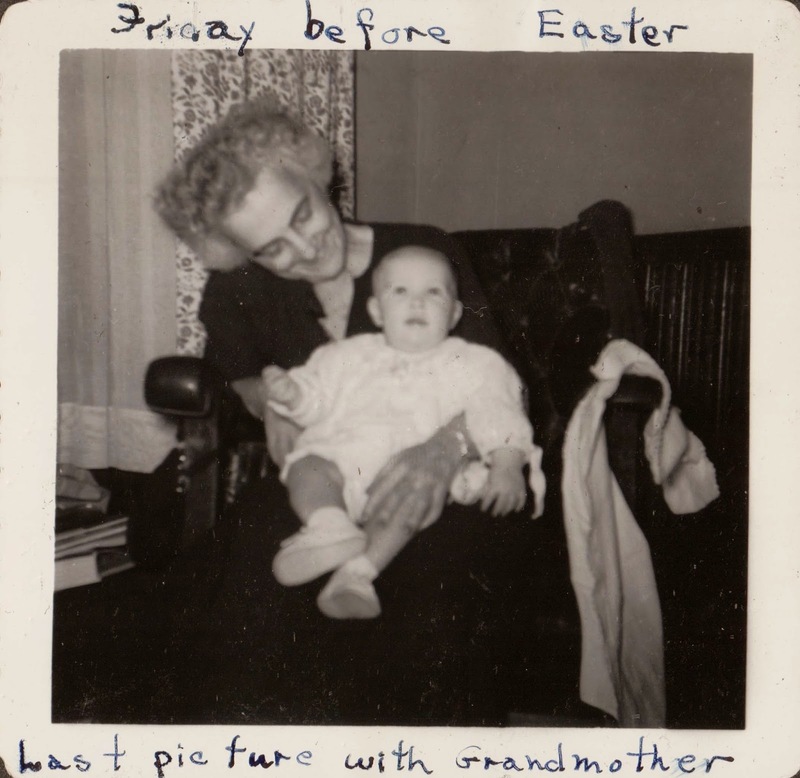 My maternal grandmother Leona Roberts (Redles) and me in 1955. Taken at the J. T. Roberts house. She grew up in the J. T. Roberts house. The photo behind my blog title was taken of the Roberts clan on the side porch of that house. After the death of my grandfather William Redles, she moved back to the Roberts house with her daughters, my mom Leona and Aunt Catherine, and lived there with three of her sisters and their families. One of her brothers lived next door with another one of their sisters and her family. Everyone called the Roberts house the Big House (we still call it that). We continued to visit our relatives there for many years after my grandmother died. I don't remember a lot about visits to my paternal grandmother Helen Brown's (Thomas, Pendleton) house. I remember picking up pecans in the back yard and playing in the front yard. I remember what the inside of her house looked like and the layout. I remember sneaking in her bedroom to smell her Jergens lotion. That scent still reminds me of her. She and my granddad Albert Pendleton Sr. lived in a stucco house on a quiet street--the same house my dad and his siblings grew up in. Below is a photo taken on their front porch. 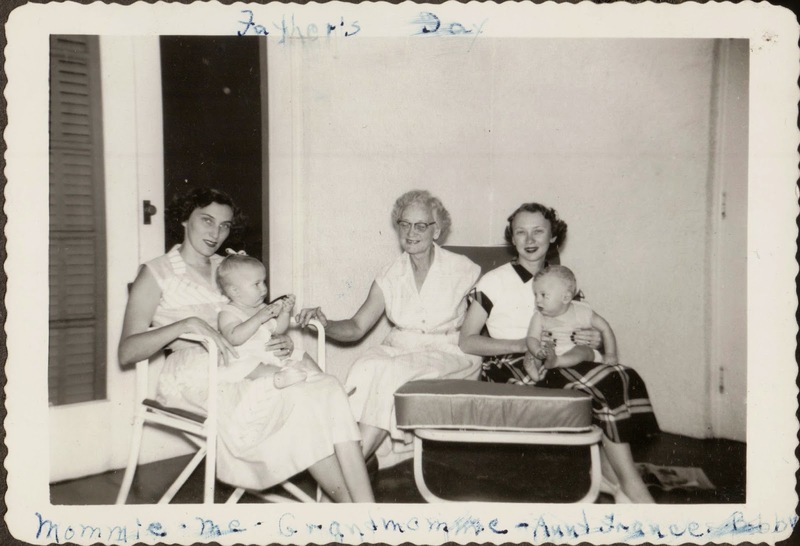 My mother holding me on the left, in the center is my grandmother Helen Brown (Thomas, Pendleton), on the right is my Aunt Frances Thomas (McLaughlin) holding her son/my cousin Rob McLaughlin (we called him Bobby back then). I enjoyed visiting Grandmama and Granddaddy (Helen and Albert) and going to the Big House where my great aunts and uncles lived and where Grandmother Leona and my mom and aunt grew up!